Zulrah is a popular solo boss found in the east of Zul-andra, often farmed by players due to the quick kills and ease of travel and banking. The Zulrah fight is often iconically considered to be very difficult to get the hang of, especially without a detailed guide – but the fact is that once the player has learned the ‘rotations’ of Zulrah the fight becomes very easy and Zulrah becomes a very fast and very effective method of farming gold. For every kill, Zulrah has a 100% chance to drop between 100 – 300 Zulrah Scales, as well as two other drops from the rest of the drop table. The three unique items on the Zulrah drop table – the Tanzanite Fang, Magic Fang and the Serpentine Visage – are all dropped at a rate of 1/128 and a are a welcome addition for both regular players and Ironmen alike. Zulrah cannot be damaged through melee, and the recommended Ranged and Magic levels for the fight are at least 75. The Zulrah boss fight takes place in an instance meaning you can only fight the boss alone and that your items are retrievable on death at 0 cost. Void is a fantastic setup to use at Zulrah for players of all levels, as it reduces the amount of gear you need to bring in your inventory and makes it easier to achieve quick gear switches between Zulrah’s rotations. Regular Void will work, but Elite Void is highly recommended. Within the instance, Zulrah will spawn multiple snakelings with 1hp – which makes the Ring of Suffering, or at least Ring of Recoil absolutely necessary for the entirety of the fight. Rotations – Learning the rotations is the hardest part of Zulrah. There are a few different websites you can use to help learn – one of them is Zulrah Helper from JosephsPalace. If you want to further increase the speed of your kills you should bring runes for Vengeance in your Rune Pouch. An Imbued Heart will increase your overall DPS through magic but is not necessary. This Hybrid setup is recommended for players who already have a good amount of experience fighting Zulrah and are comfortable switching many pieces of gear in between phases. This setup will allow for fast kills and more kills per trip than the Void method due to the increase in both Offensive and Defensive stats. 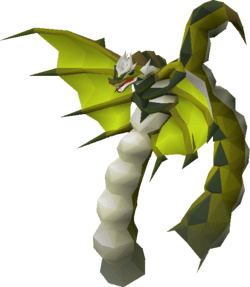 The power of the Twisted Bow allows you to only use Ranged attacks on all three phases of Zulrah, significantly decreasing the amount of effort and difficulty of the fight.